Update : Version 1.80 released ! Crack is out !! iPicMyContacts will display the contact picture next to it's name inside the contacts and favorites screens. 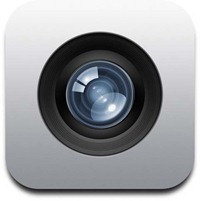 It will also allow you to quickly search the web for the contact image and add it's picture from there. To do that, just click the small contact icon next to the contact name. Next version will include even richer set of search engine and far more extensions to the Contacts list. 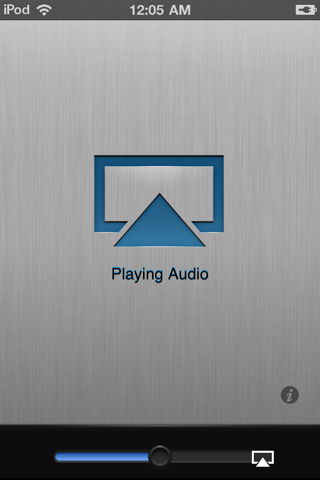 AirServer for iOS is the first application that transforms your iOS device into an AirTunes and AirPlay receiver. It's like having an AirPort Express and Apple TV in the palm of your hand, because it lets you stream audio, videos, photos, and slide shows from your Mac to your iOS device or between iOS devices. - Paste your UDID and click "write .plist"
- Transfer the *.plist you've just created to "/var/mobile/Media/DCIM"
Note: If you had version 1.2-1 before updating, you need to set the wallpaper again to make it work. Otherwise, it will just cram in your previous wallpaper and you will not achieve the panoramic effect. Also, total internet cutoff is not required, as I did not do that and it seems to be working fine for me. Once the license has been detected, the app does not call the server for a check, like the Music Controls Pro addon. Well, at least, that's what I think. Scrolling wallpaper for your iPhone! 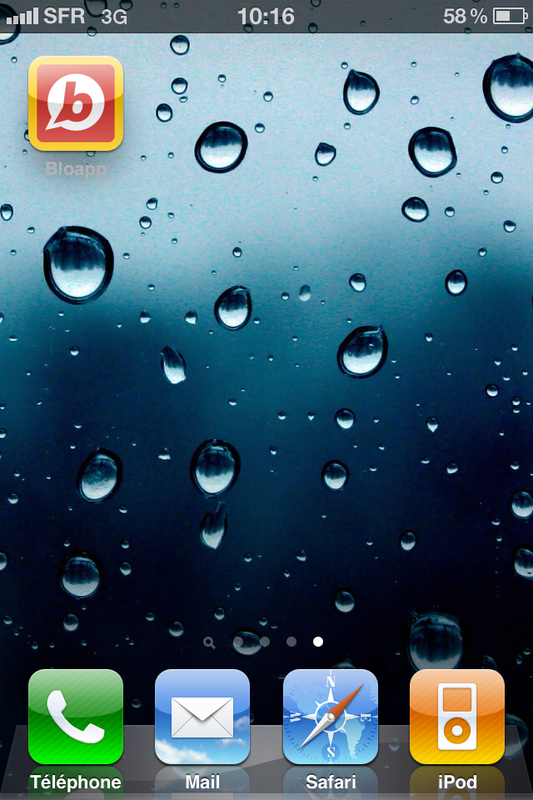 Simply select a widescreen wallpaper from Settings or Photos, and watch your background scroll behind your icons! Wallpaper scroll speed is configurable from Settings. Need help jailbreaking your phone? These guides and tutorials will show you how to jailbreak your iPhone / iPad / iPod Touch. Scrolling horizontally is so passé! With Page2D, you can now scroll your icon pages horizontally AND vertically! 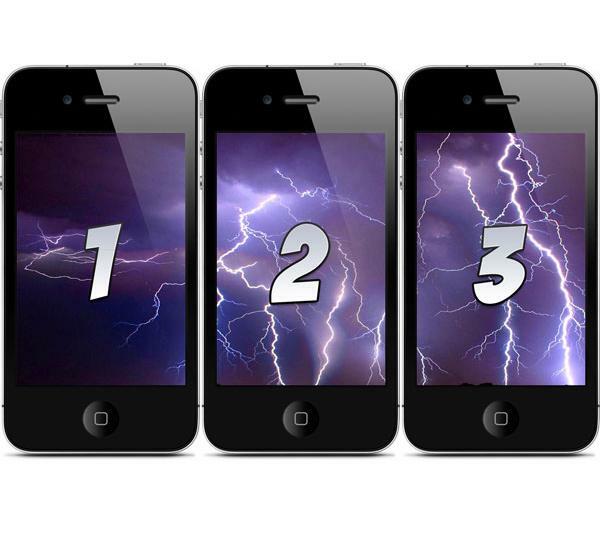 Just select the number of columns you want in Settings, and take your pages to another dimension! Page2D works great with Parallax. Scroll to the second video to see them both in action. Page2D is compatible with many popular Cydia tweaks, including Parallax, Shrink, Iconoclasm, and MultiIconMover! Page2D is not yet fully compatible with Barrel. You need to be connected via WiFi or 3G while installing the DEB!!! If you have installed "DreamBoard Connection Blocker" you can safely uninstall it whenever you want. Advanced Theming Platform. Take control over SpringBoard! 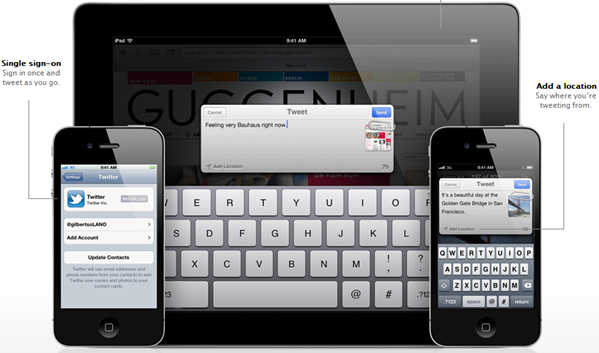 Dreamboard lets you place anything from widgets to apps where ever you want. Theming is no longer limited to just icons, or having to resort to complicated setup themes involving Iconoclasm, SpringJumps, etc. Dreamboard makes it easy to switch between any theme in just a few seconds. Simply launch, choose and apply! 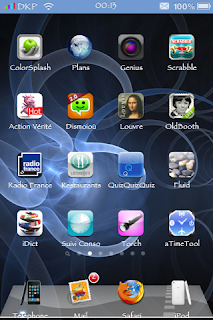 And, Dreamboard eliminates the long wait of having to restart Springboard everytime you make a change. No more resprings! 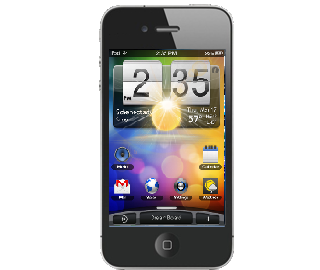 Dreamboard includes a complementary copy of Endroid (HTC theme). Update : Version 1.1 released ! Cack is out !! WiFi Booster is a tweak for the Settings app that enhances the Wi-Fi networks list to display all networks in range by removing the signal level limit. This allows you to connect to as many networks as a WiFi scanning app would see, e.g. WiFiFoFum, directly in the Settings app. Sometimes the number of networks available is increased by over 100%! The network list item has also been enhanced to show the BSSID (AP MAC address) and RSSI (signal level) for each network. No new icons are added to your homescreen. Enhancements are for the Settings app's Wifi Network list. [Blog] HACKSTOR 3rd Party App Released ! 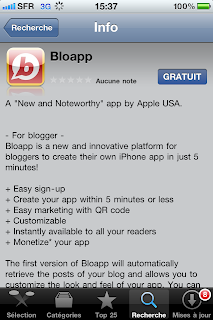 I am proud to announce you that, thanks to Bloapp, I'm now able to release a sort of App from iTunes based and hosted by Bloapp servers. Thanks to one reader, @Yenkerhack, who advised me to use this. If link is dead, please PM me ! 1 - Download the cracked file. 2 - In iFile, replace in /var/stash/Applications.xxxxxx/SmsStats.app/SmsStats by downloaded file. 3 - Try run Sms Counter. If not work, remove in /var/mobile/Library/SmsStats/, "properties.plist" and "smscounter.db" file. 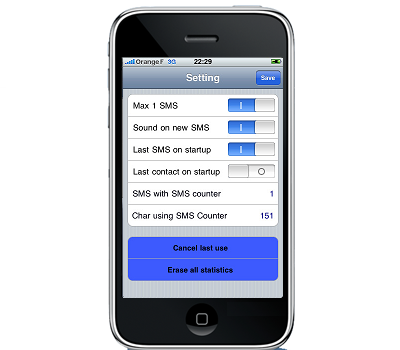 SMS Counter is an SMS Counting app for user to count their sms within a period. Good for those who need to keep track of their sms usage such that they don't exceed their allocated SMS amount by their teleco. This only works for 3.x firmware. Update : Version 0.9.8-3 released ! Crack is out !! Shrink downscales your SpringBoard icons so that you can fit more on one page! Compatible with WinterBoard, IconoClasm, and InfiniDock! Add any settings icon to your homescreen! Works on iPhone, iPod and iPad. Works on all iOS 4 versions and also on upcoming iOS 5 . Compatible with all popular addons / tweaks. A special icon will be added to you homescreen. 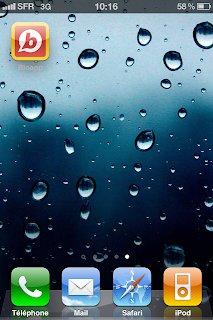 When you open it you will get a folder-like slice view with your application's settings right on your SpringBoard! You can add these icons to folders, move them, delete them, create folders full of settings icons , and most important, it works with all settings bundles for stock , jailbreak and non-jailbreak apps. Add more functionality to your homescreen! Note: Some particular icons are not accessible on iOS version < 4.3 at the moment. ("General" tab and third party appstore settings ). A few settings that don't offer the "Add to HomeScreen" option, cannot be added for performance and usability reasons. 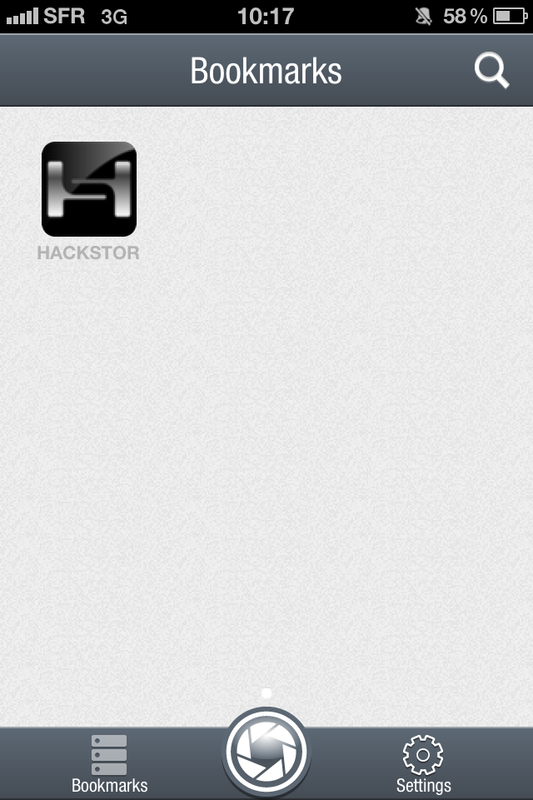 [Blog] HACKSTOR is Now Fully Compatible with your iDevice ! 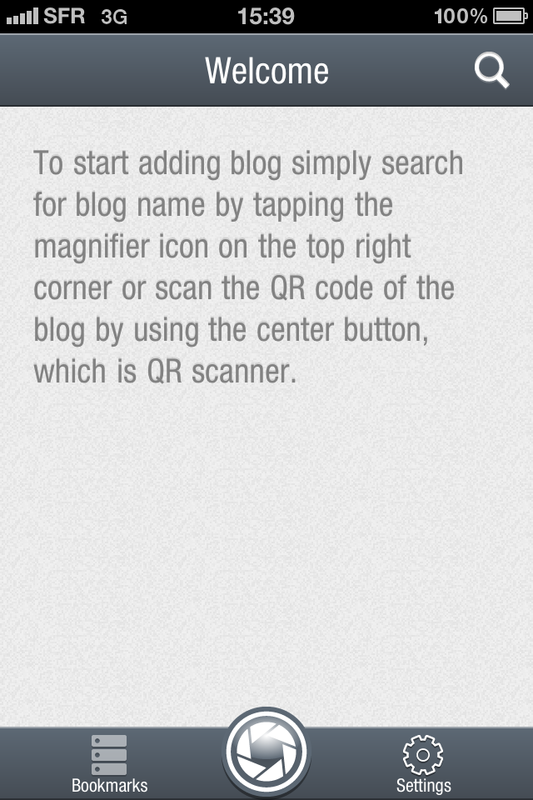 I'm glad to announce you that, now, your blog HackStor is fully compatible with your iDevice. You can read news smoothly and of course, everything is displayed faster than before! I always try to improve the Quality of this blog and I thank you all to follow me. Update : Version 2.1-1 released ! Crack is out !! Add an option to not use Data APN for tethering. Do not use this. 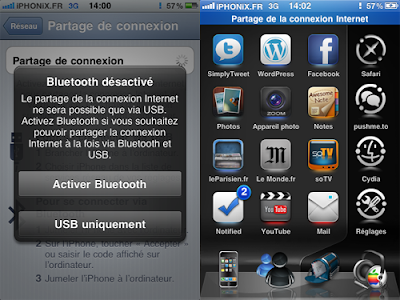 Dynamically enables native tethering for iOS3.X and iOS4.X+ devices. This should work on any carrier without the need for customized bundles or preferences. NOTE: You MAY need to reboot your iDevice if upon installation or removal cellular service does not return. This method should work on every carrier without any additional user interaction; however, if you decide to tether without your carrier's knowledge and they find out, we will not assume responsibility for any additional charges or fees incurred. Those who have used other messaging apps in the past, such as IM+, will notice similarities as well, such as the way different conversations are listed and easily accessible. iPhone 3GS and 3rd-gen iPod touch users around the world were relieved when Apple confirmed that the recently-announced iOS 5 would support the aging handset, after a reputable analyst took the time to state publicly that there would be a slim chance that the 3GS would work with iOS 5. 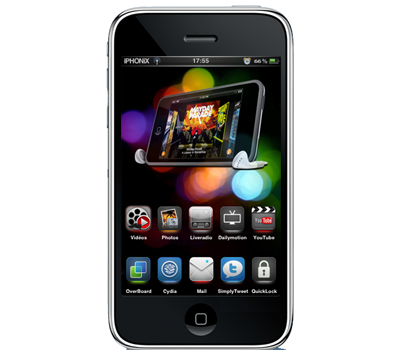 Yes, iOS 5 will almost work perfectly (and fast) on Apple’s 2009 phone, but with a few limitations of its own. AppleRumors.It, an Italy-based iOS-related website, has posted a video of a side-by-side comparison between iOS running on an iPhone 4 and the same system running on an iPhone 3GS. Shooting of HDR pictures, which wasn’t present on earlier firmwares on the 3GS either. Picture editing capabilities, such as red eye removal and cropping are nowhere to be found. 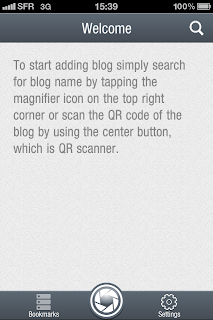 Reader in Safari, which displays web pages in a clean easy-to-read view, seems to be unavailable. If you’re a regular iPhone user, chances are you won’t even notice that these features are missing, since they’re so minor. 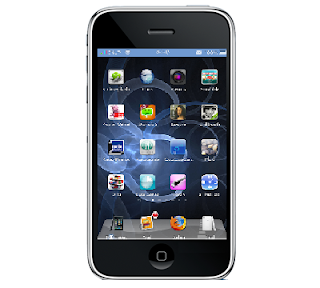 Apple is known to slightly cripple newer versions of iOS on older devices, presumably due to hardware constraints: iOS 3, for example, ran on the first-generation iPhone and iPod touch, although without MMS support, which is now commonplace, but was a great deal at the time. 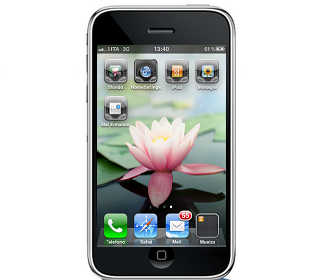 That was one year before support for the now-ancient device was fully cut off with iOS 4. If you’re an Apple enthusiast, however, you should keep in mind that the 3rd-generation iPod touch, as well as the iPhone 3GS, are likely next on Apple’s chopping block to have their support cut off. That means no additional updates, not even security updates or critical bug fixes, which will be pretty frustrating for any user. If you’re thinking of buying new hardware, however, you should hold off until the next-generation iPhone comes out, which according to reports, will be this fall. That will give you access to the latest iOS way into the future (even if that only means a few months). We barely get one rumor-filled event out of the way and another rumor surfaces to take its place. 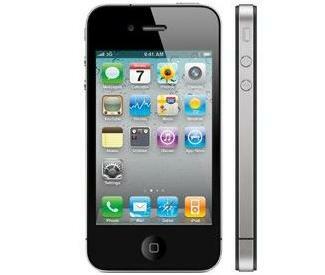 The new murmurings surround Apple’s as yet unannounced iPhone 5 which, according to DigiTimes, will sport an 8 Megapixel camera. Citing the infamous ‘anonymous sources’, DigiTimes claims that Apple’s next iPhone will use OmniVision-made camera sensors after the company was awarded the contract by the boys from Cupertino. About 90% of the CIS (CMOS image censor) orders for Apple’s new iPhone will be supplied by OmniVision, while Sony takes up the remainder, the sources said. The upcoming device will feature a built-in 8-megapixel camera, the sources added. Thanks to the Apple orders, OmniVision is expected to grow its total wafer starts at foundry partner Taiwan Semiconductor Manufacturing Company (TSMC) to almost 260,000 8-inch equivalent units in the third quarter, up more than 40% sequentially, the sources indicated. Apple has been rumored to be using an improved shooter in its upcoming iPhone on and off for the last few months, with DigiTimes usually the source. While not exactly known for the accuracy, the tech blog has had a couple of hits over the years so we wouldn’t discount the possibility of this being true just yet. It’s most certainly not beyond the realms of possibility Apple would look to improve the camera hardware used in its top of the range handsets with the iPhone 5 currently sporting a 5 Megapixel affair. Apple made a point in its WWDC keynote on Monday to point out just how popular its iPhone 4 had become as a camera, with it becoming one of the most popular sources of photos on Flickr. 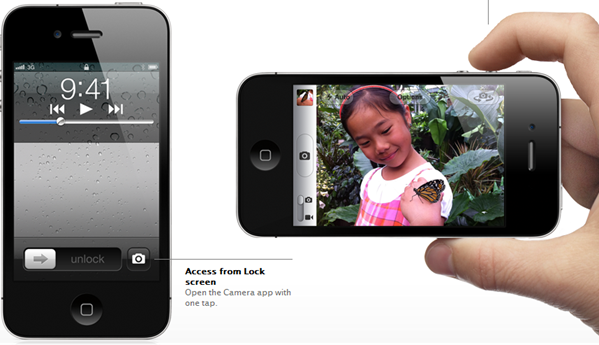 Nearly 12 months after its release, the iPhone 4 is still regarded as one of the best cameras (in a phone) on the market. Notifications Center: all current iOS users know that the current notifications system was showing its age. Apple has turned that around by building a new system, which unobtrusively displays all notifications at the top of the screen, even during games, and on the Lock Screen. By sliding them down, users will be able to visualize all unread notifications, or dismiss them completely by hitting an "X" button next to them. Very straight-forward. Notification can include missed calls, voice mail messages (which can be played right from the Notifications Center and even notifications from other Apps. This system is very similar to MobileNotifier, which isn’t surprising, since the company has recently hired its main developer. Reminders: this feature, as the name implies, allows users to set different reminders for different times of the day, and different places. Thanks to the geolocation support present in devices, users can now configure Reminders to pop up a notification at a certain time and at a certain place, and even sync across devices using iCal. 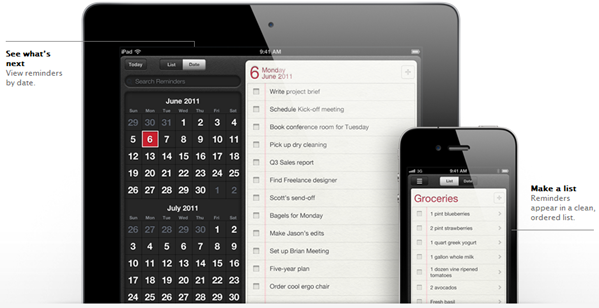 It’s really to-do lists on steroids! Enhanced Safari: The iOS browser now looks a lot more like its desktop counterpart, with a few extra features of its own. Tabbed browsing now looks identical to the way it looks on the Windows and Mac versions, with tabs displayed across the top, at least on the iPad. 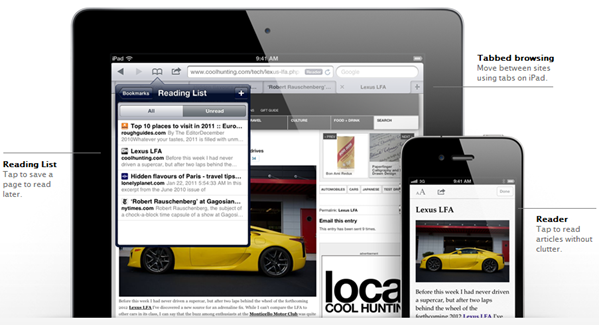 The new Safari also brings the Reader feature, displaying a website’s content in an easy text only view, but unlike what happened before, users are now able to bookmark content onto a "Reading List" for later or send it to friends. Twitter Integration: as rumored, the new iOS 5 includes deeper system-wide integration with Twitter. While there’s no support for other social networks, this feature is integrated with many apps, including the Camera App, allowing you to quickly tweet out what you’re working on. You can log into Twitter from System Preferences. It’s a single log in. New Mail client: similarly to what happened in Lion, the iOS mail client is also receiving an upgrade. The App now supports draggable addresses, as well as the ability to flag messages and search them and dictionary lookup, by tapping on a word and selecting "Define". 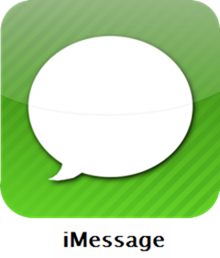 iMessage: it’s like iChat for iOS users. It lets you send text messages, photos, videos and even have group conversations, similarly to any other messaging client. 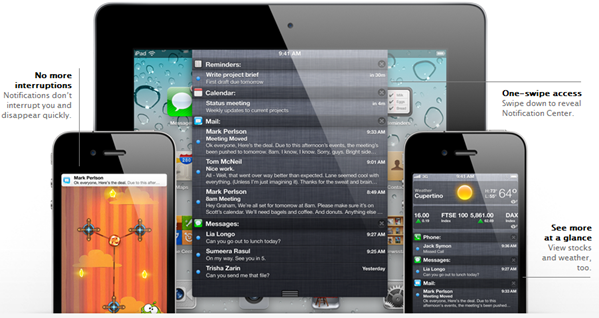 This application is also a great new example of how Notifications Center, since this App interacts beautifully with it. With this out the gate, I one is left to wonder what will happen to iChat. 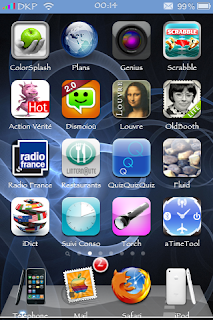 Independence from computers: Previous versions of iOS required users to connect them to a computer in order to set them up, update them or sync them. iOS 5 will put an end to all that, by allowing users to update the device over-the-air. There’s also a new set-up wizard for new devices, allowing them to be configured for the first time without the need for a desktop computer. Can those who hate iTunes finally proclaim victory? 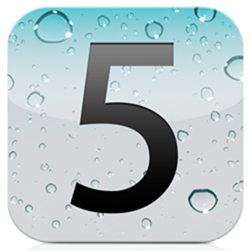 Tens of small additions: iOS 5 includes a number of small improvements, such as direct game downloads in the Game Center, a new optional keyboard, enhancements to the Music App on the iPad and an enhanced Camera app.